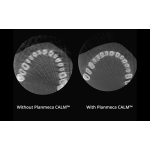 Planmeca 4D™ Jaw Motion is the only true CBCT integrated solution for tracking, visualizing, and analyzing jaw movement in real-time. 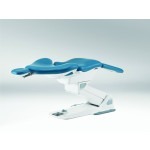 It offers visualization of mandibular movements in 3D – creating a 4th dimension ideal for temporomandibular (TMD) examinations, preoperative planning and postoperative treatment verifications, and articulator programming. 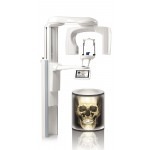 Planmeca 4D™ Jaw Motion is the only true CBCT integrated solution for tracking, visualizing, and analysing jaw movement in 3D. It offers incomparable visualization of mandibular 3D movements in real-time – creating a fourth dimension in diagnostics. 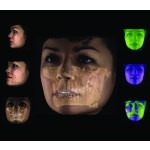 Planmeca 4D™ Jaw Motion adds a new dimension to 3D data by visualising a patient’s jaw movement. 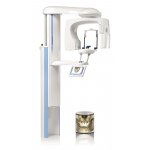 First, a CBCT image (e.g. a Planmeca Ultra Low Dose™ image) is acquired with a Planmeca ProMax® 3D unit with the patient wearing dedicated tracking devices. 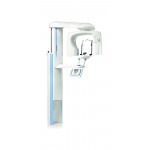 Integrated Planmeca ProFace® cameras are then used to track lower jaw movements in relation to the upper jaw. All movements are visualized, analysed, and stored to the Planmeca Romexis® imaging software in real time. 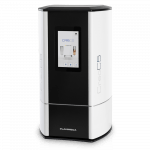 Available on Planmeca ProMax 3D Mid® or ProMax 3D Max® and Planmeca Viso™ equipped with Planmeca ProFace® and Planmeca 4D™ Jaw Motion software module and license. 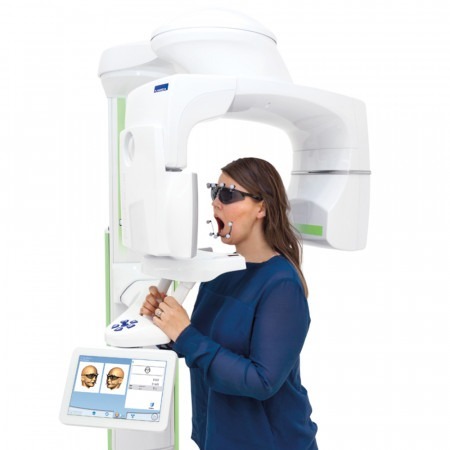 4D jaw motion kit included with module contains (1) Pair of glasses and (5) lower jaw tracking devices and (25) reflective spheres.